Gone are the days when individuals and teams found it difficult to create or access various design assets to help polish up their projects. However, even though there are more than enough sources of original leading-edge design resources, those who have to buy multiple bundles regularly will eventually feel the weight of the costs over time. But with Designbundles.net the experience is a little different given that users can enjoy a huge collection of premium design resources at very competitive prices. Designbundles.net is basically an online-based marketplace for a wide range of design resources. As an innovative platform, it is tailored to offer well thought out products from leading independent designers around the world. Designbundles.net basically assembles a wide array of relevant design items all at one place. 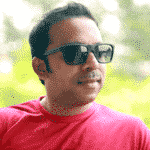 The website is a brainchild of the same team that created FontBundles.net. And this ascertains their unquestionable reliability in delivering premium and fully functional elements and packs including backgrounds, textures, illustrations, SVG’s, Mockups, templates, icons and so much more. 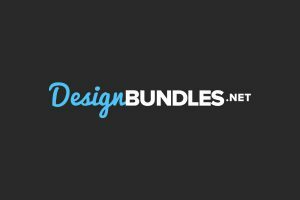 Designbundles.net does not only avail ready-made design resources but it also offers value for money thanks to its well endowed and budget-friendly selection of high-quality products. The website features some of the most amazing pictorial representations that you can acquire and use for relevant creative projects. Under the graphics category, you can access to design resources including backgrounds, decorations, logos, icons, patterns, textures, and clip art among other illustrative artwork to help you unleash your creativity. Designbundles.net allows users to have all kinds of graphics they may need no matter the nature of the project they are working on. Apart from the wide range of graphics, Designbundles.net also makes available adequate tools and elements for all manner of needs. Talk about web elements, infographics, characters, mockups, objects, and add-ons, you cannot miss what matches your requirements from the almost exhaustive list of options. With designbundles.net you can have all your template needs figured out. Thanks to their ready-made stylish cluster of templates, professionals and freelance creatives can have all the products without much ado. Whether you are looking for book covers, brochures, business cards and invites, flyers, newsletters, magazines, resume or presentation templates they have adequate options you can pick from. If you are looking for design resources in the form of photos designbundles.net is an ideal source of beautiful pictures that can help you depict whatever thing you may want to. The website offers photos under themes such as animals, architecture, arts and entertainment, business, conceptual fashion, food, nature, industrial, people, sports, tech, travel, and adventure among other general items or sceneries. This category features design assets tailored for 3D printing, card making, embroidery, laser engraving, monograms, printables, scrapbooking, SVG’s among others. The collection not only offers beautiful products but it also gives enough choices so craftholics always have adequate alternatives to choose from. Designbundles.net is an extensive design resources marketplace. You can easily get everything from photos to templates and graphics among other assets you may need in a design project. It gets better because all the products are premium quality. There is no limit to what you can do with whatever bundle you buy. Perhaps the biggest selling point of designbundles.net is the pocket-friendly pricing. Not only can you enjoy up to 96% of the recommended retail price, but it also provides exclusive deals on bundles saving users a lot of money in the long run. There are daily and weekly deals besides the products you can try for free. And given that the resources are creations of thousands of independent designers brought together makes it even a better marketplace. Designbundles.net has a reliable customer support system with prompt replies to queries and concerns. Get in touch quickly via email, call or social media and someone will be at the other end to help you out. Their online community is also great so you can engage other users and share experiences. With designbundles.net there is no restriction on where and when you can download your bundles once you have a license. You can download design resources from anywhere, anytime on any device via your user account. DesignBundles.net is by far a big hit for hobbyists and professionals alike. With it, you will not only save money but you will also have access to exclusive and premium quality design resources to work with for different creative projects. Whether you are an independent designer or company you can get unique, colourful and original artwork at very affordable rates.